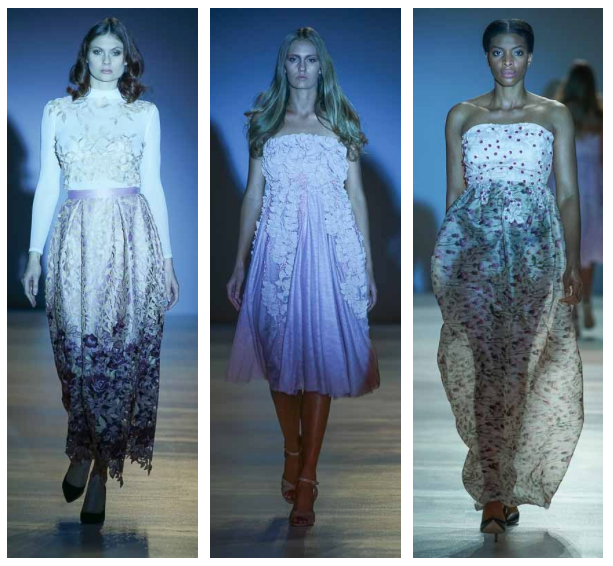 This week was South African Fashion Week which was held at the same place as the previous year – Hyde Park Corner roof top. I attended 3 days out of the 5 and although this was exhausting, I must say that this year was special in that the clothes showed more quality to them as well as the potential to be worn as day to day looks as opposed to being limited to haute couture as prevailed in the previous years. 1) A date with a Thousand Years by Chu Yan – CHU Yan is a top-level fashion designer in China as well as an associate professor at the Beijing Institute of Fashion Technology. 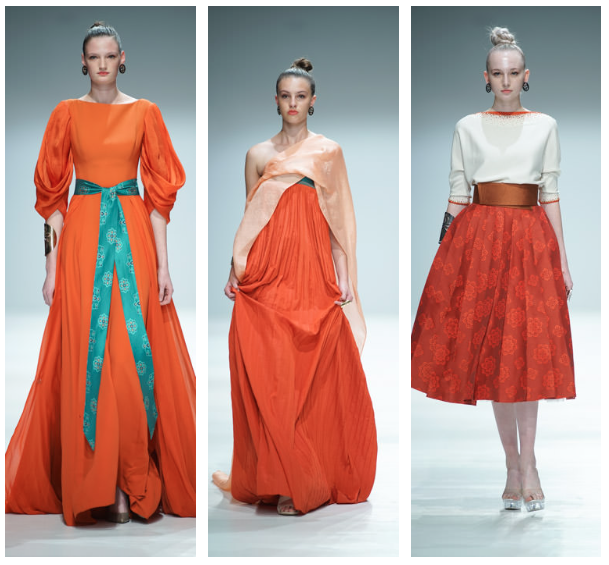 This collection was elegant, featuring rich colors and inspired by traditional Chinese wear. Although each outfit covered up allot of the anatomy, it managed to bring through sensuality of the female form. I saw myself wearing each outfit to the office. 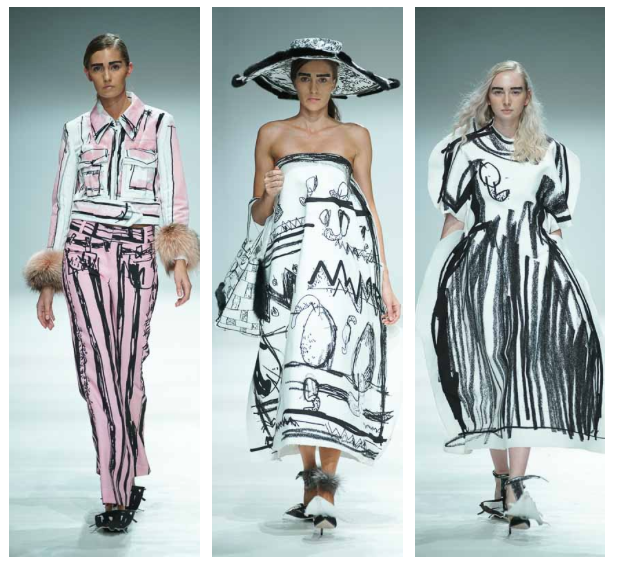 2) Edda Gines – graduated from London College of Fashion and has been named by the New York Times as one of ten “Fresh out of Fashion School designers to watch”. Her collection was fashion forward with its larger- than -life aesthetic, bold monochrome hand printed designs and decadent fur details. Her canvas started all white with hand drawn outlines of a hat for example which then was cut and used as such – with pop of color. 3) Judith Atelier – Designer Judi Nel, started Judith Atelier in 2014. This collection was all about lace, silks, shimmer, unique prints and embellishment. The colors were earthy yet the outfits were classy. Judi empowers local women by tapping into their master skills to create desirable garments for the women who want to reflect confidence and femininity. 4) Keys Fashion – All garments were just stunning! 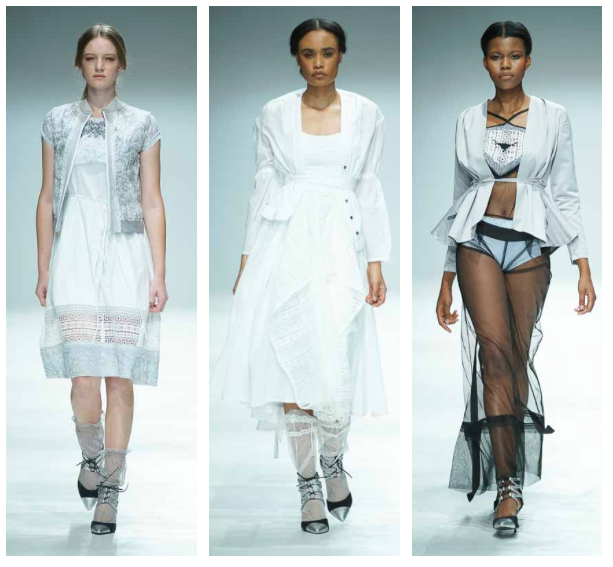 Designed by Ryan Keys who grew up in Johannesburg, the collection featured feathers, lace and embroidery making every outfit nothing but elegant. 5) The Hive – is a hand painted swimwear brand from Cape Town designed, painted and embellished by Jade Ashleigh. This collection was inspired by the intricacy, colour and texture found in nature and African culture. All sketches were hand drawn by Jade and then placement screened onto the nylon and filled in one by one; making each piece unique individual wearable art. Great event this year even though the goodie bags only featured the South African fashion handbook – no more Rimmel makeup giveaways as the previous years and no sweet stuff to take home. Sponsored once again by Sun Glass Hut who also set up a really cool photo booth to take pictures in – I had fun!